Deadline for team registration is Tuesday, October 23. 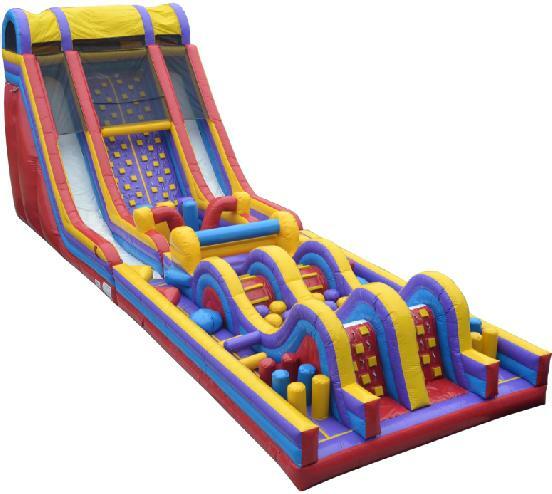 Think Minute-to-Win-It meets Double-Dare meets Family Feud Meets Wipeout! Contact Amanda to become a sponsor. Sponsorships are available. Click here to view the 2018 sponsorship packet! This event is ALL about having fun! The team with the most points wins! The challenges range from physical to mental to frankly, just luck, but we promise you will have a blast in the meantime! These are all about team-work to get the task completed. 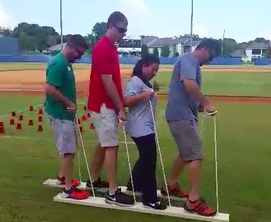 Team Walker - (4 players) - Players walk by using hand ropes to lift boards together. Feet must stay on boards at all times. If a player comes off the boards the team must stop and start again as a team. Blindfold Train Scavenger Hunt - Communicating only through touch, players will assemble in train formation placing hands on each other’s shoulders. The first three players will be blindfolded and guided but the last player (not blindfolded). Through hand communication they will navigate and collect random objects then safely place them into a bucket. After an object is successfully collected, the player in front will go the back and navigate. This process will be repeated till time has expired. Object of the game is to collect as many objects as possible. Egg Run/Toss - Four players will line up in their designated spots (about 10 feet apart) . Player 1 will carry an egg on a spoon to Player 2, pass to player 2, return to his/her original spot as Player 2 carries to Player 3, pass to player 3 , (player 2 returns to original spot) while Player 3 carries to and pass to Player 4, then moves to original spot. Play 4 will then toss the egg to Player 3, Player 3 will toss to player 2 and player 2 will toss to Player 1. If there is still time remaining, player 1 can toss back to 2 and etc. Each successful pass, and successful toss will gain the team points. Hula Hoop Pass -(4 players)- Players will hold hands in a straight line and must pass Hula Hoop down and back as many times as possible without letting go of each other. If players let go of each other they must start over. This will be judged by total number of successful passes. Mallow Tower -(4-6 players) Build the tallest tower you can out of marshmallows. Each team will be given one box of toothpicks and one cup of marshmallows. Teams will have 10 minutes to construct a tower however they deem fit. After 10 minutes *Only tower still standing once time is up will be counted. *1000 points will be given for every 3 inches of height. Trivia - Each member will be given a paper with 10 trivia questions. They will have 1 minute to individually answer each question. Each correct answer is worth 50 points. The top 4 members score will be the cumulative score. Five targets. Five paintballs. Earn 100 points per paintball hit. Combined score of top 4 team members. Each member will be given a paper with 10 trivia questions. They will have 1 minute to individually answer each question. Each correct answer is worth 50 points. The top 4 members score will be the cumulative score. 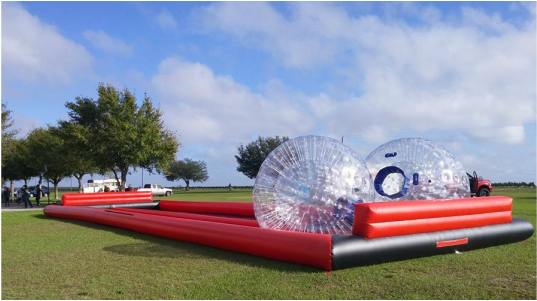 Each team member will run the course for time. Two teams compete at one time running the course in their "lane." Best score per team will be recorded​. Want a little extra credit? Option A : An extra 1,000 points will be awarded if the team comes dressed in costume/uniform! A costume/uniform winner will be selected for an additional 2,000 points. Option B: An additional 2,000 points will be awarded if the team comes with a team banner (think a bed sheet designed with your team logo or drawing, painted, words of encouragement, logo etc. Homemade is perfect! The banner can be turned into the Chamber of Commerce by noon on Thursday September 17 to be hung in the stadium.